A true winner to a trained eye. This display case comes in 3 heights and tilt front glass for ease of cleaning. 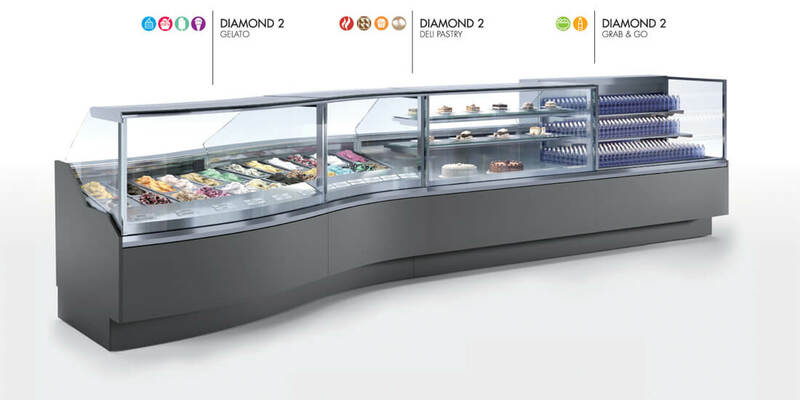 This case is available in Pastry, Deli and Gelato Ice Cream configurations both in linear and curved applications. Just like the entire Oscartek™ line it can be customized to fit any décor. LED lighting is optional.